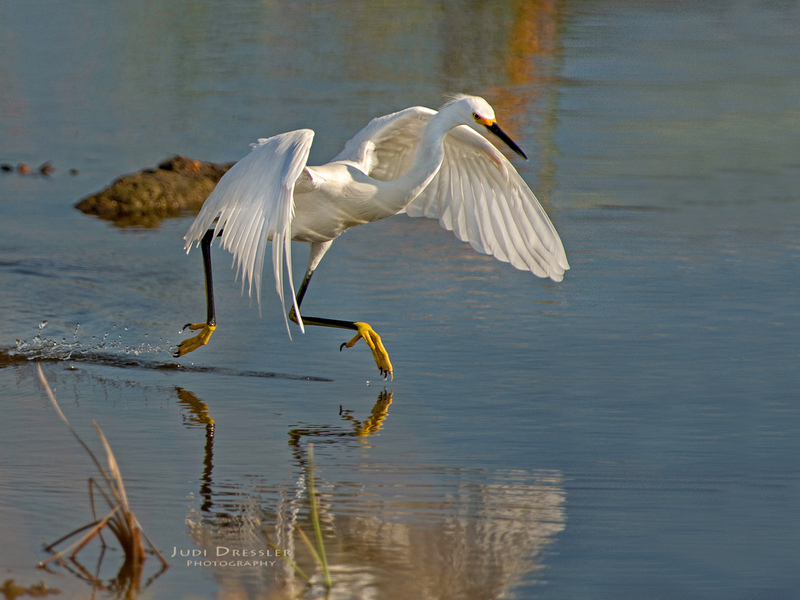 This Snowy Egret flew in as I was photographing other birds at the Bird and Nature Center on South Padre Island. S/he must have been hungry, because s/he immediately began chasing fish and whatever else s/he could find. I love this shot of him or her running over the water with those yellow feet!